Having lost its bid to get the Supreme Court to rule in its favour on the matter of the leadership of the All Progressives Grand Alliance, APGA, Chief Martin Agbaso, the erstwhile factional chieftain of the party who had gone to court to oust Chief Victor Oye as National Chairman of the party took some time away from the public glare to lick his wound and reflect on his next move in politics. 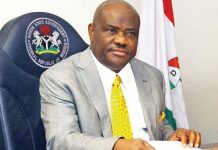 The apex court’s verdict last July effectively closed the long-drawn battle between the two factions of APGA. With the recent conduct of primaries ahead of the 2019 general elections, Agbaso has found his voice again, perhaps in readiness to play a more strategic and influential role as a kingmaker, whose political machinery is positioned to help any candidate win the election. There is no doubt that the ‘Ahamefula’ political structure of Agbaso played a big role in making APGA a winning brand in Imo. His name is also synonymous with APGA nationwide. On the issues that led to APGA’s abysmal loss in the 2007 governorship election in Imo State, Ukaga maintained that Agbaso’s refusal to denounce the party and its leader, late Chief Chukwuemeka Odumegwu-Ojukwu, cost him the governorship of the state. 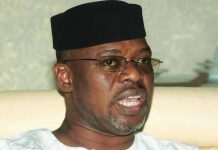 Continuing, Ukaga noted that, “Agbaso refused to place his personal interest above his loyalty to the party, his massive followers and Ikemba Ojukwu. Little did he know that his deep commitment to the party was not only offensive to some key individuals in the party at that time, but also became a veritable albatross. Following the cancellation of the April 14, 2007 governorship election which was clearly won by Agbaso, he fought relentlessly in court for four years to reclaim his mandate, a battle that ended in February 2011. The case ended without any court in Nigeria answering the ultimate question: Has INEC the right, under the Electoral Act, to completely cancel an election that was concluded? It is important to note that the governorship ballot papers were cast in the same ballot-box as that of the House of Assembly. The result of the House of Assembly election was declared, while the governorship election was cancelled. How INEC contrived and got away with such a blatant act of injustice and impunity, is left for posterity. Historians will determine also the role played by prominent sons and daughters of Owerri Zone in denying one of their own the opportunity of governing Imo State at that time. All through his battle in court, to reclaim his mandate, Agbaso did not abandon the party. It’s important to note that during this period several inducements were made to him to abandon his mandate and the party. He not only dismissed such offers but sustained the party, ensuring that APGA not only had, but maintained offices in the 305 wards of Imo State. He built the party in Imo till it became a beautiful bride. 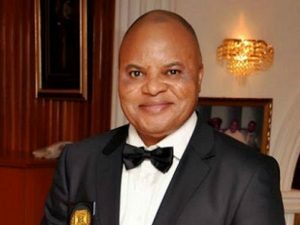 If he had abandoned the party after the 2007 election, or signed the pact with the PDP in order to become governor, there wouldn’t have been an APGA in Imo today, for the current auctioneers and political jobbers to exploit. Owing to the certain factors, the national leadership of APGA imposed Rochas Okorocha on the Imo State APGA faithful in 2011, despite Agbaso’s determination to once again lead the party to victory, adding that such would have proved that the election he won in 2007 was not a fluke. He was fully prepared for the 2011 election and had mobilised APGA members across Imo State. 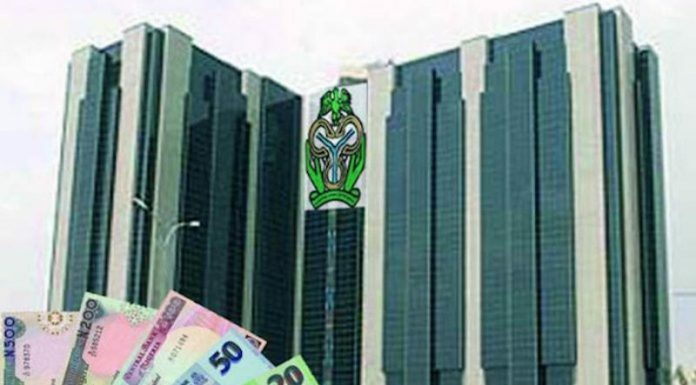 However, the same auctioneers who have continued, unchallenged, to run APGA as their private enterprise, after receiving undisclosed inducements smuggled Chief Rochas Okorocha into the race and mortgaged the party to him, with the active connivance of traitors some of who were key players in Agbaso’s campaign organisation. The party leadership having compelled him to accept Rochas as the flag-bearer of the party, in spite of the pain of betrayal, he single mindedly led the campaign in the overall interest of APGA. Agbaso has continued to insist that no money was offered to him at any time during or after the election. He has even challenged Okorocha in public to provide evidence giving him up to N10 million; and if proven, he would give him N100 million. Agbaso was believed to have led and financed the party and most of the party candidates at all levels including Okorocha thereby ensuring APGA’s 2011 election victory at the gubernatorial, senatorial, representative and state sssembly levels. The 2011 election and that of 2007 were arguably acknowledged as the best outing ever recorded by APGA in Imo State and indeed in Nigeria, to date. According to the Ahamefula director, Agbaso and Okorocha entered into a written supervised and signed by Chief Victor Umeh, the National Chairman of APGA, at that time. The letter and spirit of the document stated among other things that Agbaso should, in the interest of the party, support Rochas Okorocha in 2011 and, thereafter become the party’s candidate in 2015. Little did Agbaso know that after largely funding the campaign of Okorocha particularly and those of other candidates of APGA that he was not dealing with a man of honour. Chief Okorocha never honoured that agreement. Rather he falsely accused the then deputy governor Jude Agbaso of bribe taking in order to scuttle the agreement. Rochas as we now all know resorted to an unprecedented campaign of calumny against Agbaso, falsely claiming that Ochoudo sold him the gubernatorial ticket and in turn was settled for a sum of money, which he has failed to disclose till today. However, the most verifiable payback (which was not in the written agreement) was allowing Agbaso’s younger brother to become Okorocha’s running-mate. Even this too was short-lived as the younger Agbaso was removed from the office through the machination of Governor Okorocha. Unfortunately, the tables have turned now and the APGA in Anambra has controlled governance in the state for over one decade. 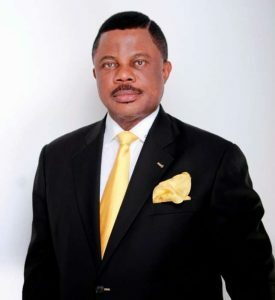 However, during the election of Chief Willie Obiano as governor of Anambra State in 2014, Agbaso played a key role which stopped the envisaged disintegration of APGA before the election. Agbaso, it was, who reconciled former Governor Peter Obi and Chief Victor Umeh whose battle for the soul of APGA almost destroyed the party and its chances of winning Anambra State in 2014. His selfless disposition ensured a democratic and transparent primary that led to the emergence of Chief Willie Obiano as the flag-bearer of the party in 2014. Obiano has publicly acknowledged this role played by Agbaso. Strangely, Obiano was fingered to have a hand in halting Agbaso’s emergence as the APGA National Chairman. Having suffered so much betrayal, Agbaso withdrew his support for APGA in 2015. Of course, it contributed in no small way in the routing of APGA in Imo State in the election that year. Following his acceptance of an offer of peace from the APGA national leaders, he returned to the party. The delegation was led by late Ozo Nwabueze Okafor, who was the then Acting National Chairman of APGA pleaded with him to assist them in salvaging the sinking party. 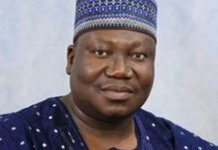 At that juncture, the National Chairman, Chief Victor Oye, was on suspended alongside his two deputies, Uchenna Okogbue (South) and Alhaji Adamu (North). This was the situation when Agbaso was persuaded to return to APGA. Nwabueze died on January 8, 2017. When the NWC met in Enugu, on January 30, 2017, they unanimously mandated Agbaso, who was then the Acting Deputy National Chairman (South), to take over the leadership of the party since he was the next in line of succession, in accordance with the party’s constitution. Determined not to abandon the legitimate court case initiated by Nwabueze and others, Agbaso deployed his time and personal resources in prosecuting the court case, in order to restore accountability and internal democracy to APGA. At great risk to his person, Agbaso took on the challenge to rescue APGA. As vividly reported in the media, though he lost the case at the Supreme Court, it was convincingly won in the court of public opinion. The assumption in many quarters today is that 85 per cent of APGA members are solidly with Agbaso. Across the 305 wards of Imo State, the true APGA and teeming Ahamefula members know their own. *Agbaso fought relentlessly in court for four years to reclaim his mandate, a battle that ended in February 2011. The case ended without any court in Nigeria answering the ultimate question: Has INEC the right, under the Electoral Act, to completely cancel an election that was concluded?